SOLO: A STAR WARS STORY was the first Star Wars film for which the process of buying a ticket and sitting down in a dark theater didn’t bring with it the tingling anticipation I’d come to associate with each new Star Wars film, first for The Phantom Menace, which I watched in theaters when I was only ten (and when tickets cost only four dollars instead of sixteen) and then again for each of the prequels, which despite my developing cynicism I still watched with a childish thrill, and then yet again for The Force Awakens, which though I was twenty-six I still approached with a naive hope, and then even for Rogue One and The Last Jedi, despite the fact that each of the new Disney-authored films had been worse than the last. Star Wars, after all, was childhood to me — LEGO action figures of Han and Chewbacca, a toy model of Boba Fett’s Slave One, Pepsi cans with every character that I eagerly collected (too young yet to realize the corporate structure I was supporting and the amount of sugar I was consuming) — and no cynicism could ever replace that magic that Lucas had so cunningly concocted with his CliffsNotes Joseph Campbell. But finally, with Solo, it all felt over. Disney’s three utterly mediocre films had revealed to me the corporate sham of the whole thing. Even the prequels I could at least respect as the vision, however bizarre, of a man who thought himself an artist. But the last three films had been the creation of Hollywood hacks, crafted for men (and some token women) in suits who wanted to sell toys. And so, when the lights dimmed and the familiar blue text the hue of a lightsaber appeared on screen reading A long time ago etc., I prepared myself for the sinking feeing that I would inevitably experience hearing that iconic musical cue and seeing that regurgitated yellow text trudge its way across the screen, poorly written of course, as had become the fashion (an example from The Last Jedi: “Only General Leia Organa’s band of RESISTANCE fighters stand against the rising tyranny, certain that Jedi Master Luke Skywalker will return and restore a spark of hope to the fight.”). But then on the screen there appeared another line of blue text — and instead of the iconic theme music, I heard a low minor-key note. It is a lawless time the text read. Suddenly, I feel myself pleasantly surprised. Rogue One hadn’t had an opening crawl either, but this felt different — it wasn’t just the absence of one (apparently for Rogue One it had been cut during the writing process) but instead a conscious decision to do something different. Ultimately, it was this emphatic break from its predecessors that made Solo a good film — because, despite its subtitle, it is, from the very first frame, not actually a Star Wars movie. There are no Jedi, no Death Stars, and (almost) no lightsabers, and no mention of the Force or any other neo-Daoist theological ramblings. More than that, Solo purposefully subverts the Star Wars franchise by not only presenting audiences for the first time with the underbelly of the Star Wars universe — working class slums, slave colonies, a droid uprising, and even a Third World Liberation Front-style rebellion of colonized peoples — but also by consciously inverting the traditional Joseph Campbell hero’s journey that characterized A New Hope: Luke wanted to escape his home planet, whereas Han wants to get back to it; Luke’s mentor was a moral savior, whereas Han’s (Woody Harrelson) is amoral and eventually a villain; the woman Luke worked to save was (despite her “walking carpet” line) very much a traditional princess-in-distress, whereas Han’s love interest (Emilia Clarke) turns out not to actually need him; and, most importantly, Luke conformed to the traditional and deeply conservative aristocratic chosen-one trope, whereas Han’s skills came not from his lineage but from his experience (and also from luck — another element that’s rare in a franchise filled with Jedi). Solo is thus a conscious rebuke of J.J. Abrams’s The Force Awakens, which instead of subverting the tropes of A New Hope literally just repeated them, with a chosen-one Luke-figure going beat by beat through the same hero’s journey. Likewise, through its tone, Solo also rejects the pretentious posturing of The Last Jedi, which imagined itself the woke anthem of #TheResistance, even going so far as to make Princess Leia look and act as much as possible like Hillary Clinton. Solo by contrast recognizes that it’s just a Star Wars move, a lighthearted tale about a plucky hero making his way through a crazy world — an approach which, ironically, is actually much more in keeping with the Flash-Gordon-inspired original. Moreover, by rejecting the previous film’s woke moral seriousness, Solo reminds us that the films we’re now holding up as allegories for resistance to Trump had originated with a stupid action movie — and in doing so it makes the radical suggestion that perhaps a franchise owned by a multi-billion-dollar conglomerate can’t actually be an effective means of political resistance. Instead, to the extent that a corporate film can be, Solo works to be aesthetically subversive, breaking free of franchise tropes in an act of rebellion that’s far more interesting than watching a group of pilots (half of whom we know are going to die) discuss how to destroy yet another Death Star. Sadly, though, Solo’s subversiveness likely won’t be recognized. The film has been given mediocre reviews by critics who’ve grown to expect the bombast of Marvel movies, and it’s made less money than Disney hoped, which might mean they’ll pivot back to J.J. Abrams remakes. What the critical reception and box office receipts demonstrate is that audiences today are not willing to accept something even a little aesthetically different. Instead, they want what they perceive as the old-fashioned Star Wars, the one that’s a literal remake of A New Hope but with that grander and more overwrought tone that allows them as adults to justify their taste in children’s movies and that provides them with just enough comfortable moderate-liberal platitudes about “resistance” so that they believe paying sixteen dollars for a movie is an act of rebellion. 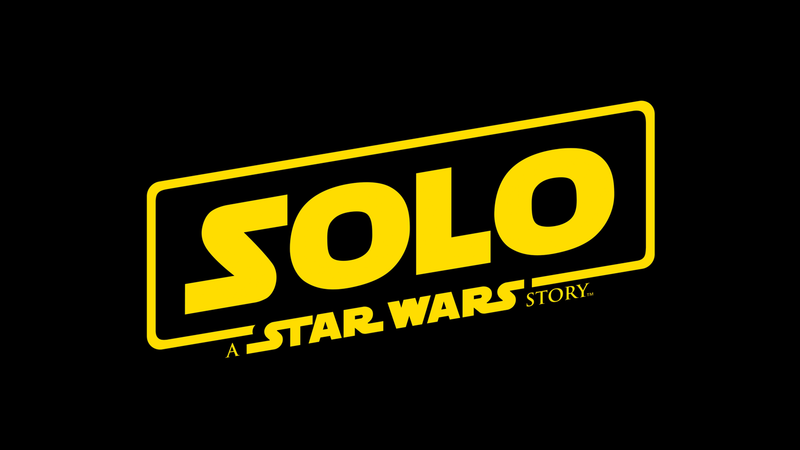 This then is the ultimate meta-tragedy of Solo —for what it is, it’s a surprisingly good film, but one that audiences weren’t ready for and so won’t appreciate. After all, the film’s most talked about scene is also clearly its worst, the random appearance of Darth Maul, obviously shoehorned in by executives contemplating sequels.